Although established in 2004, the Celtic Cowboys did not play their first competitive Gaelic Football match until the club’s trip to San Diego in August 2006 (refer to Gaelic Football Gallery for pics). A panel of 18 players made the trip to the west coast where we played the local Setanta club. In a closely contested game the Cowboys lost on 1-16 to 1-14 scoreline. 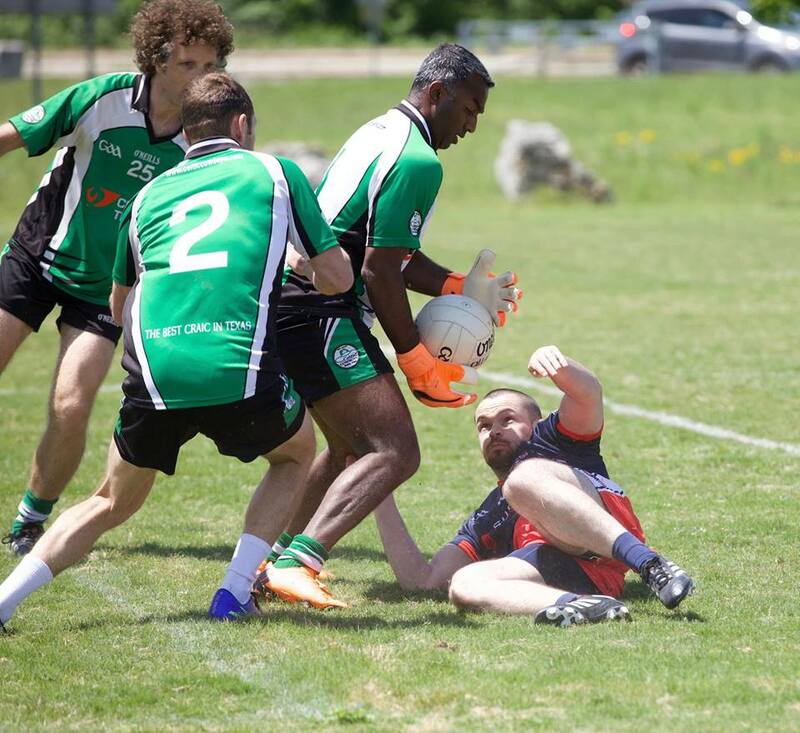 Since 2006, the Celtic Cowboys men’s football teams have won 5 North American titles and 4 Texas Championships in a row. The Men’s Intermediate team won the club’s 6th National Title in September 2018 at the USGAA Nationals held in Philadelphia. We represent our city in matches against clubs from Texas and around the United States. We are actively recruiting and training players who want to learn the sport of Men’s Gaelic football. Starting in March, trainings will be on Monday and Friday evening. The next training sessions are listed in the Events section on the right of this page and on the Gaelic Training page.